Rules - LAHDEN KORTTELILIIGA RY. With respect to both forms of the game and where applicable, tournaments. 1) The teams will take care of their referee tasks, participation fees, and membership fees. Participating in the league is a commitment to taking care of referee duties. This is the cornerstone of the entire league, and it is therefore treated with respect, because otherwise without this we wouldn’t have a league. 2) Failing to do so will result in a 50€ fine which is payable within 2 weeks of the incident. Failure to do so can result in exclusion from the league. 3) In the small field league, the referee duties are allocated along with the match schedule. Each team is responsible for the referee games allocated to them. If these games are neglected then the team shall be fined 40€, which is payable within 2 weeks of the offence. If the fine is unpaid or the offence repeated then the team can be excluded from the league or have each of their games recorded as a 5-0 defeat. The full sized games are officiated by the leagues’ active referee system. 4) The teams designated referee shall return both match cards after the game and on the day of the game to the Kortteliliiga office postbox (Kisapuisto Squash and Tennis Hall, Tarinakatu 2). Failure to do so shall result in a fine for the referee/team. 5) The full field preliminary group and the small field games shall be governed by one official. 6) Teams tied on equal points shall be separated as follows: 1) goal difference 2) most goals scored, 3) the result of the teams head to head, 4) drawing of lots. 7) The top three teams of each league and division shall be awarded Kortteliliiga medals, with a possibility of an annual special award. The Karjala top points winners, decided from the preliminary leagues, shall be awarded at the end of the season. 8) Passing points (for making a pass leading directly to a goal) shall also be awarded in the Karjala points system. 9) If a team or its fans behave inappropriately on the field or on the vicinity of the field, the team is given a warning. If the issue persists despite the warning, then the team shall be excluded from league. A team is always responsible for its supporters. 10) The Kortteliliiga membership fee is 25€ and it has to be paid by 24.5.2016. The teams must pay the total amount for their teams registered players in a single bank transfer, and not each player individually. 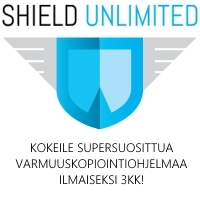 After 24.5.2015, the fielding of any unpaid Kortteliliiga membership players shall result in a 5-0 defeat for their team. 11) Kortteliliiga membership fee does not include insurance, so all the teams participating in the activities do so at their own risk. The Kortteliliiga recommends personal insurance. 12) All teams must provide the Kortteliliiga office before the first game, their list of players, which shall include all the players’ names addresses and phone numbers, as well as foreigner players’ citizenship. Date of birth is not required. The Kortteliliiga shall keep and protect these records in accordance with law and has the right to use such details for its own marketing purposes. The minimum age of participation is 15 years. 13) If the team plays an unregistered player, a player who is suspended or breaches the rules in connection with the registration of players, then the teams game shall be recorded as a 5-0 defeat. A protest to such a decision can be made up to 2 days from the decision and can be made by any Kortteliliiga member. 14) If a team wishes to protest an incident then the desire to do so must be reported to the referee immediately at the conclusion of the game. An official written protest must be received by the Kortteliliiga by 09:00 the following morning. Any follow up statements by players or individuals involved in the protested incident must be received by the Kortteliliiga within 2 days of the game. The fee for making a protest is 20€ and shall be returned if the protest is upheld. The protest will only be dealt with if these regulations are upheld; otherwise the protest shall not be handled. 15) For a game to be rearranged to another date, permission must be sought from the opposing team first. (The only reason acceptable for a rearranged fixture is a sporting reason) The game must be played before a deadline imposed by the kortteliliiga. If the game is not played by this deadline or the rearrangement fee is not paid then the game shall be recorded as a 5-0 defeat to the team requesting the rearrangement (Or in cases of tactical forfeiting the league will impose a suitable score so as not to benefit the requesting team). The fee for rearranging a fixture is 40€ and must be paid before a fixture can be rearranged. 17) The 3 yellow card suspension has been removed from use since 1996. 18) A booking for dissent incurs a one (1) match suspension. The player shall be suspended for the following game. The referee is to inform the player clearly that he is being booked for dissent. 19) Only rubber soled footwear or moulded studs with a minimum of 8 studs per boot are allowed. On grass, screw-in studs are allowed. 20) The team shall wear numbered shirts with the goalkeeper wearing a different coloured shirt. Bibs/vests can only be used as a change of kit when a clash of colours happens. If both teams have the same coloured shirts, then the away team must change their shirts. The team’s captain must wear a clearly visible captain’s armband. The referee has the right to prevent a team from playing if they do not have matching shirts. 21) New players may be signed until the 5.8.2016. 22) A player has the right each season to one (1) transfer. All transfers must be requested in writing to the league, the player, the old team and the new team’s managers must sign the transfer request. Transfers are not permitted after the 5.8.2016. 23) A player is a member of the team who he plays his first game of the season with. A player may play in one (1) small field team, one (1) full field team and an age restricted team. 24) The referee, referee’s assistant and any referee officials are protected from all forms of physical abuse. If this rule is broken then the league has the right to suspend the offending person/persons and revoke their league membership. 25) When registering, the teams agree to abide by these regulations, the rules of the game, the leagues instructions and regulations, the field of play and surrounding areas rules, remembering to represent the league with good all round behaviour. 26) The qualification groups only decide the order of passage to the final groups. No points or advantages will be awarded for qualification group progress. 27) The qualification and final groups are separate competitions. If a team forfeits a game in the qualification group it shall not be carried over to the final group. However, if the forfeit game in question is a knock out or medal game, then forfeits from the qualification group shall be taken into account and the team shall forfeit their league status. 28) All football related incidents shall be dealt with by the football committee. The right to appeal their decisions to the Kortteliliiga society is permitted. 29) The women’s league has the extra player rule in effect. If a team is five (5) or more goals behind, the trailing team has the right to field an extra player until they are only two (2) goals behind. NB. Make sure that your team has matching shirts and please have a few extra on standby. You are representing your team and the Kortteliliiga, please do so with style! Rules in effect from 31.3.2016 onwards.